Inside Cancer.Net is a free monthly e-newsletter for people in the cancer community, patients, families, and friends. 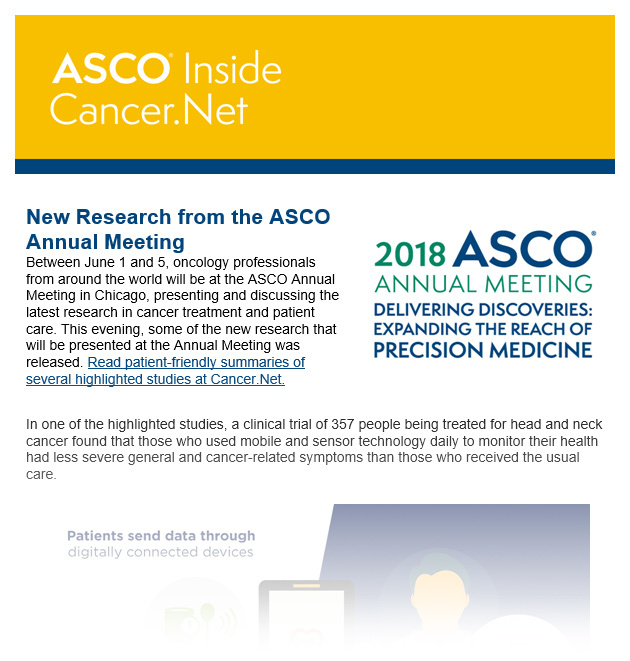 It highlights new and noteworthy articles, videos, podcasts, and events featured on Cancer.Net, ASCO's patient information website. To receive this monthly e-newsletter, please enter your name and email address below. Inside Cancer.Net will be used to inform you of news and updates related to the Cancer.Net website.